1. 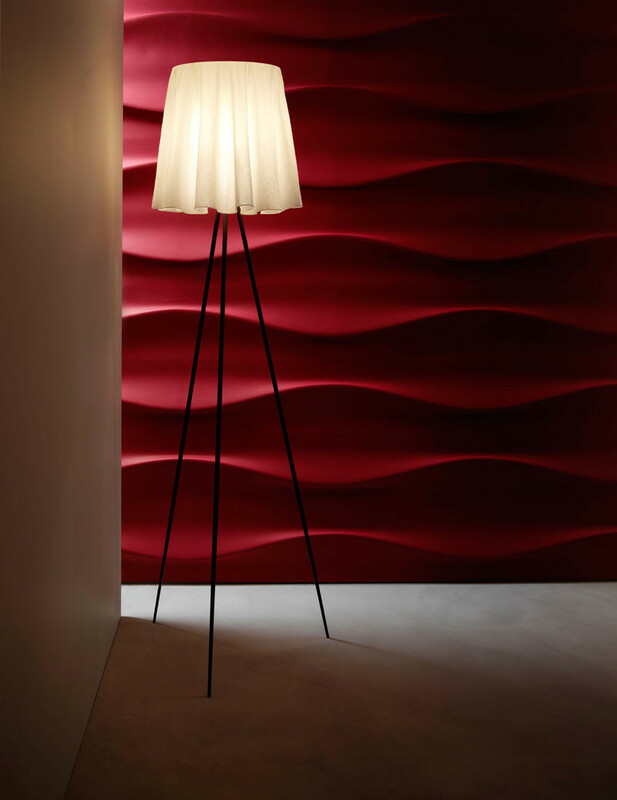 The Lumina Tile by Fap Ceramiche. 2. The Alexander Tile in ceramic by Giles Miller. 3. 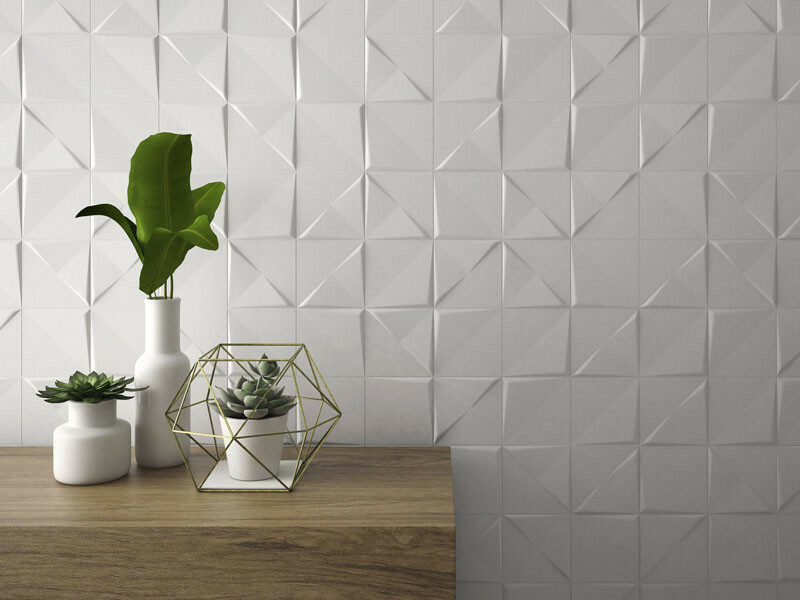 The Diamond 3D Wall Tile by atlas concorde. 4. 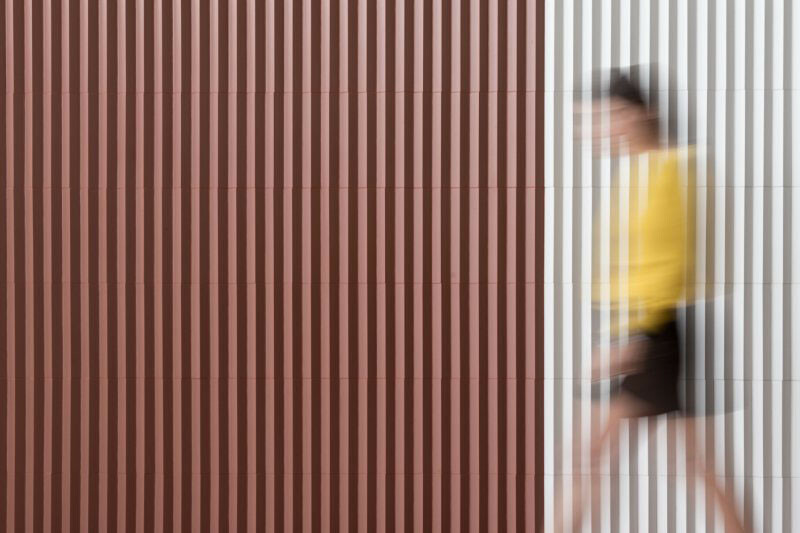 The Tierras Wall Tile, designed by Patricia Urquiola for Mutina. 5. 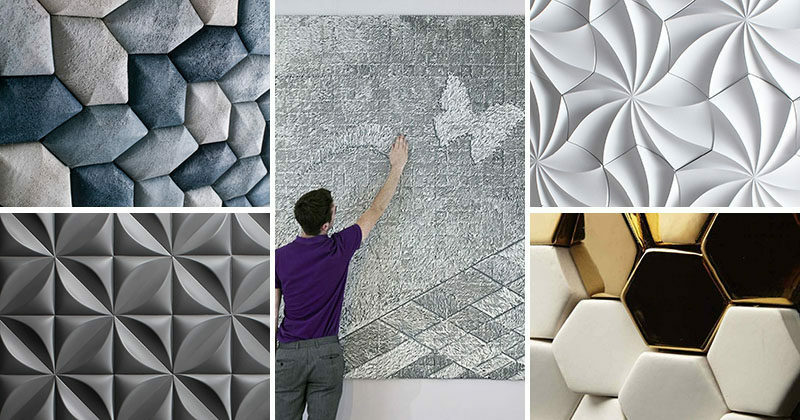 The Grid Tile by atlas concorde. 6. 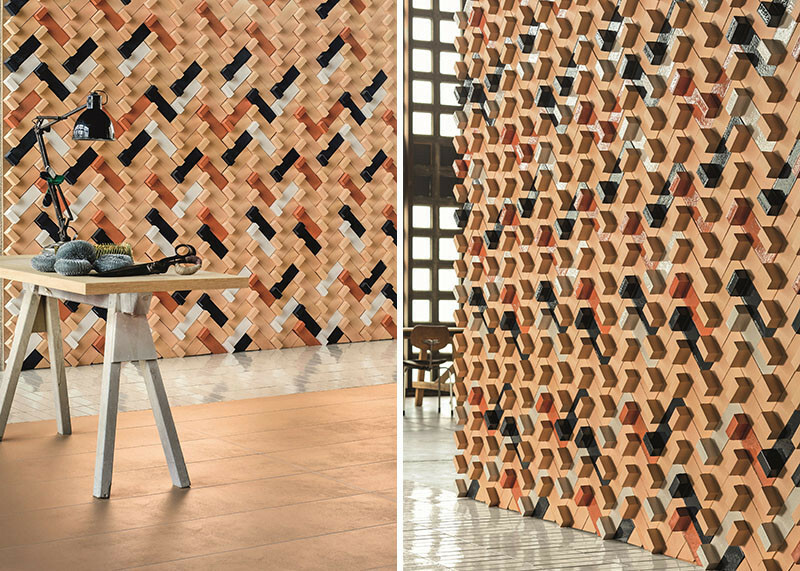 The Sensory Wall Tile, designed by Victor Carrasco for Alea. 7. 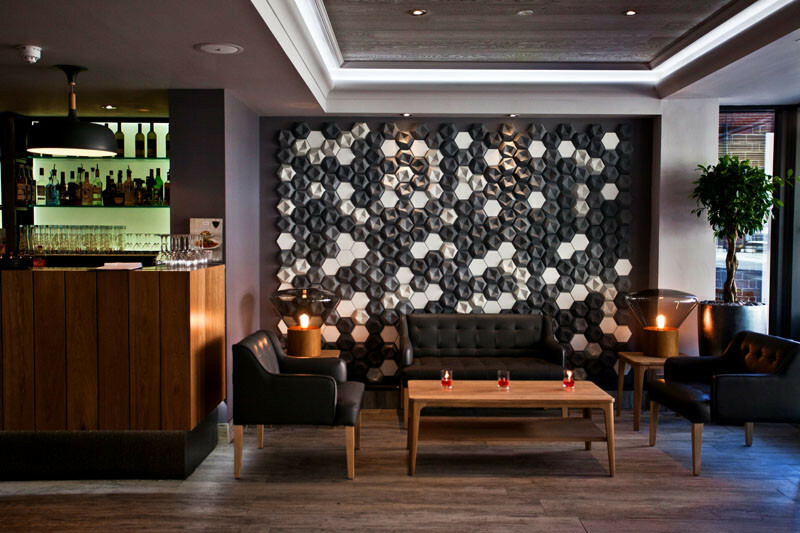 The Dune Wall Tiles in concrete and wood, designed by urbanproduct. 8. 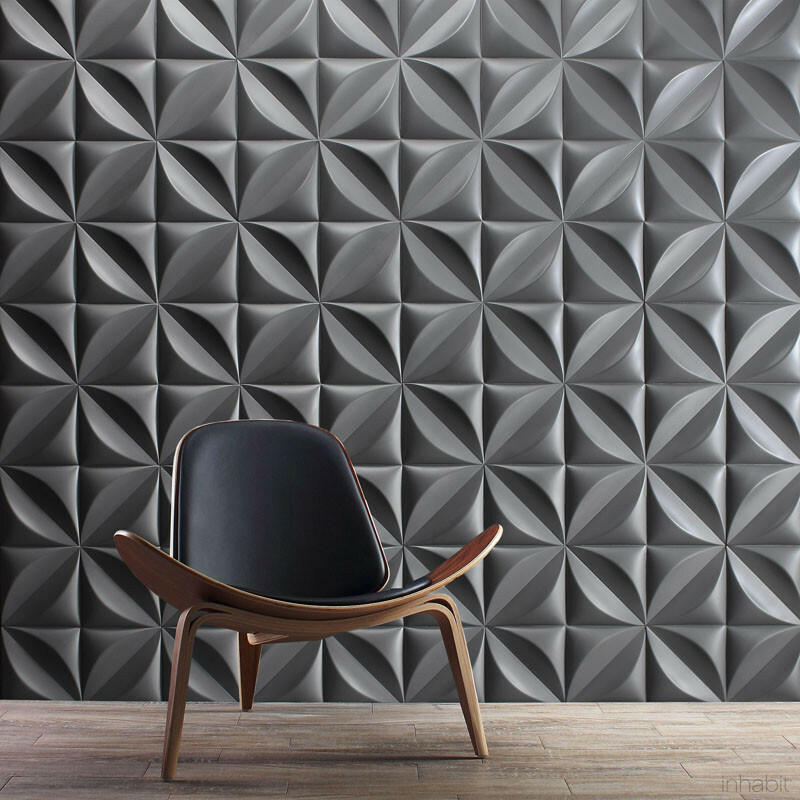 The Edgy Wall Tiles, designed by Patrycja Domanska and Tanya Lightfoot for KAZA Concrete. 9. 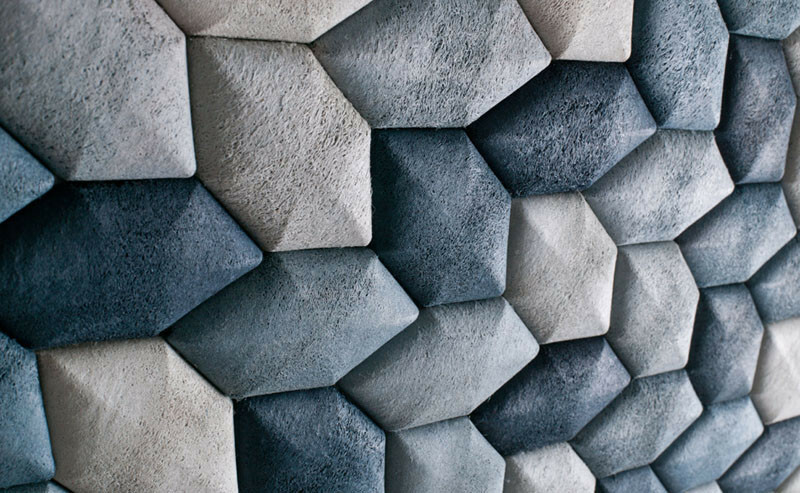 The INDIGO Acoustic Wall Tiles that look like rocks, designed by Luffa Lab. 10. 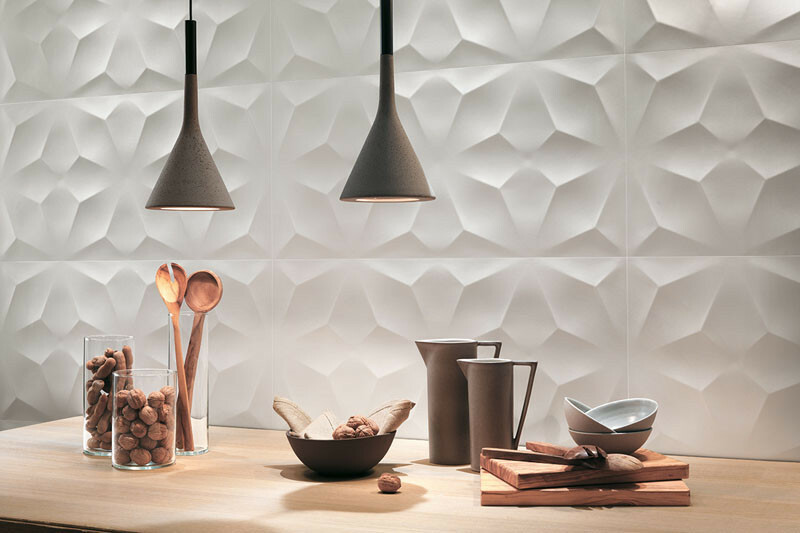 The Creta wall tile by Fap Ceramiche. 11. 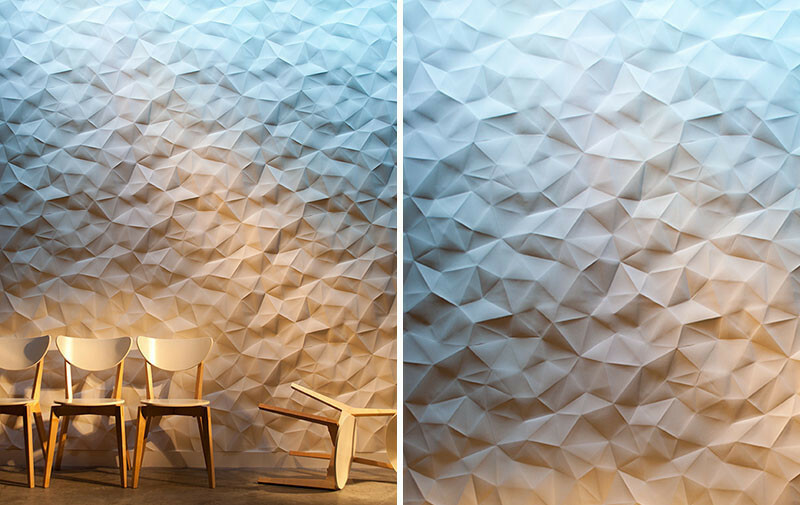 The Miranda wall installation, a one-off installation by Giles Miller. 12. 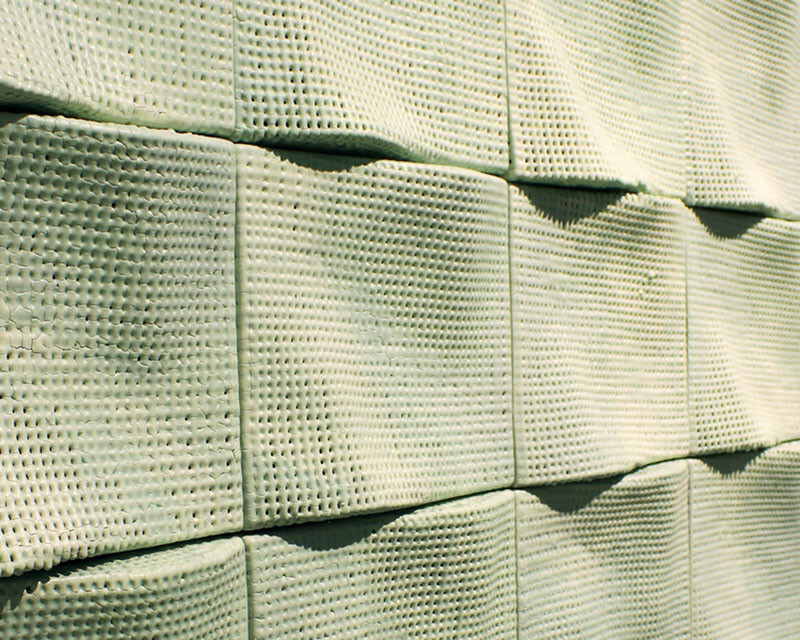 The Craters Wall Tiles by Surface Collective. 13. The Versatile Collection by Kutahya. 14. 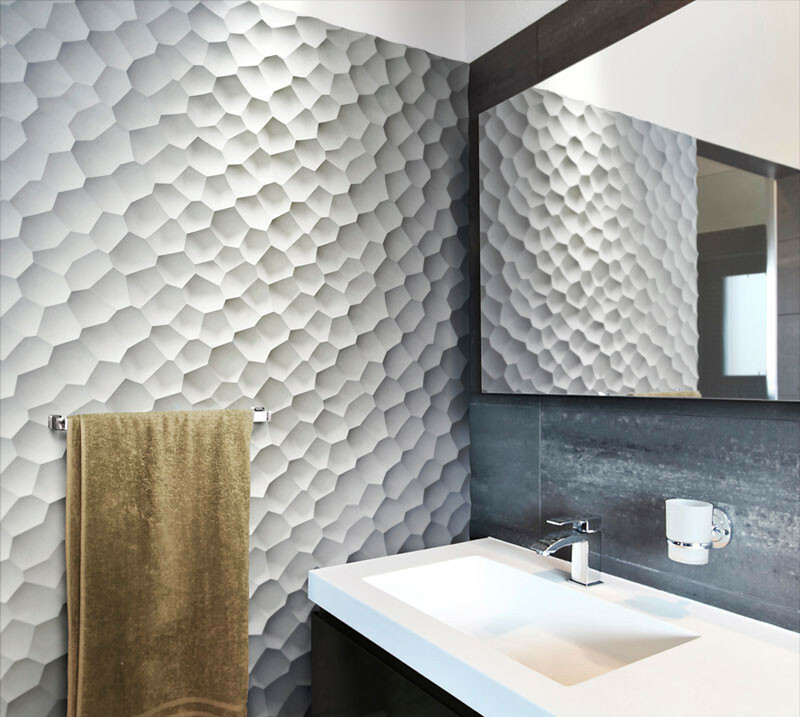 The Wave Tiles designed by Scott Daniel. 15. 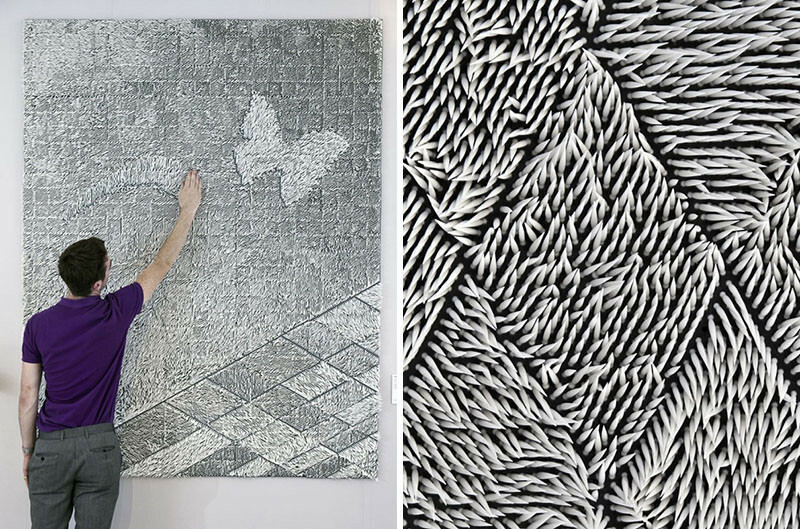 The CAST concrete tiles from inhabit. 16. 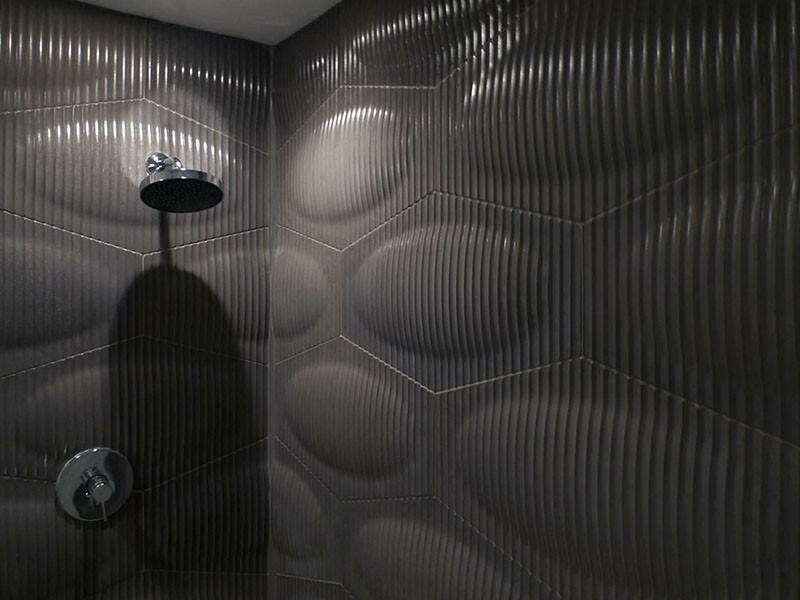 The Diamante 74300 ceramic tile spotted at Academy Tiles. 17. 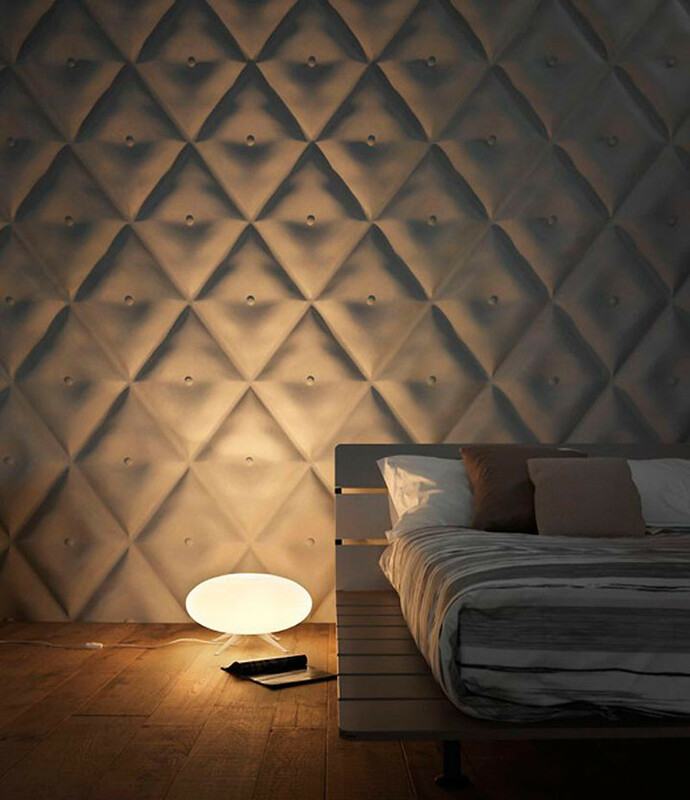 The Piega Wall Tile by 3D Surface. 18. 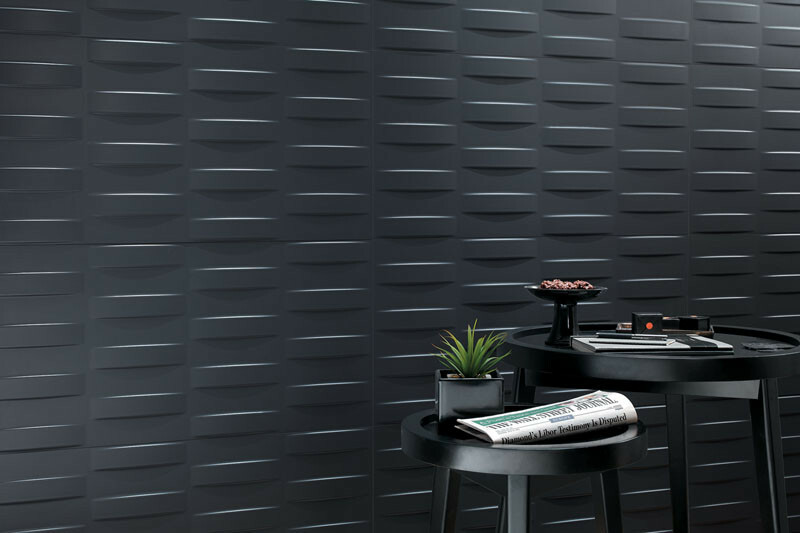 The Dover Spiga Caliza tile by Porcelanosa. 19. 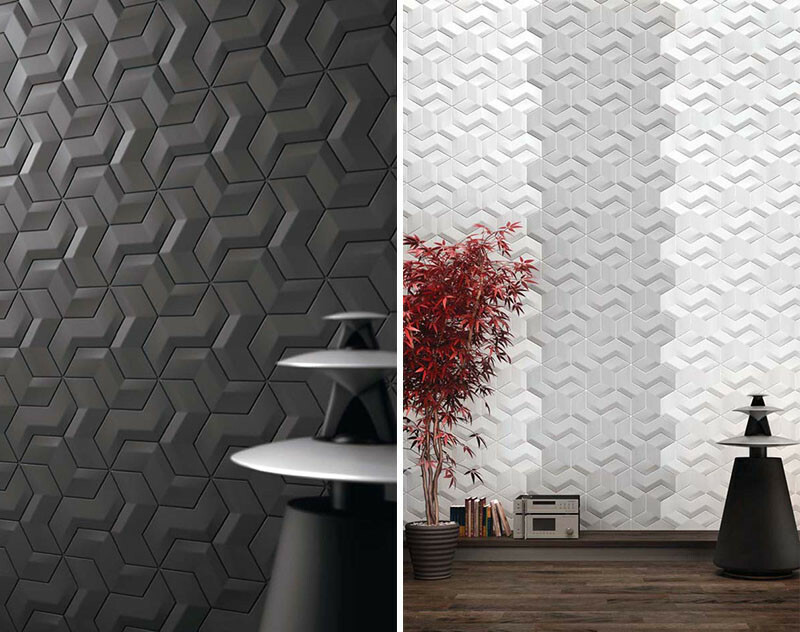 The Optic Hex Elliptical Tiles by OGASSIAN. 20. 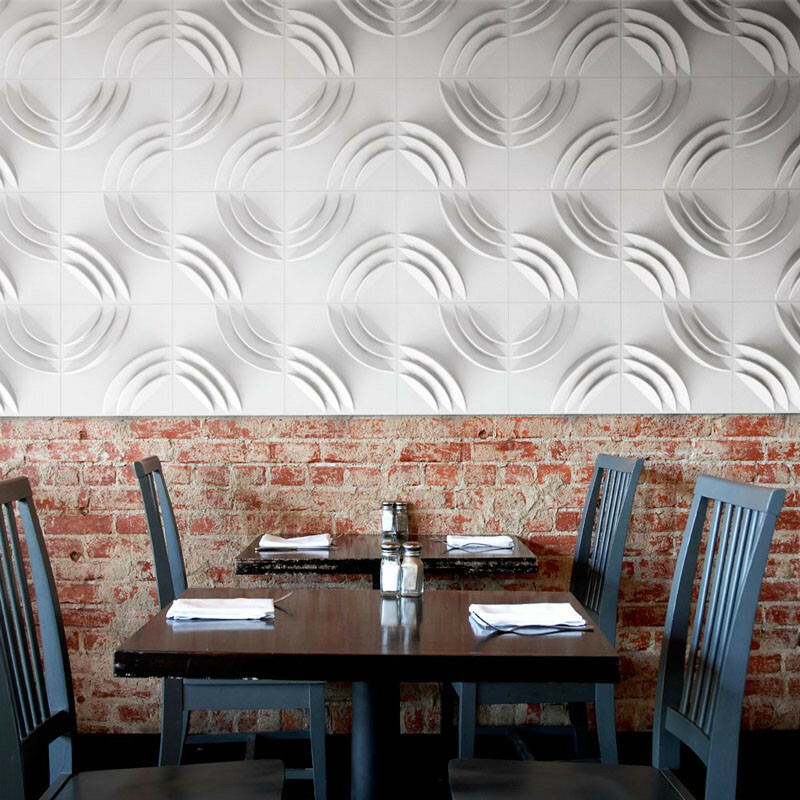 The Ripple PaperForms Wall Tile by Mio Culture. 21. 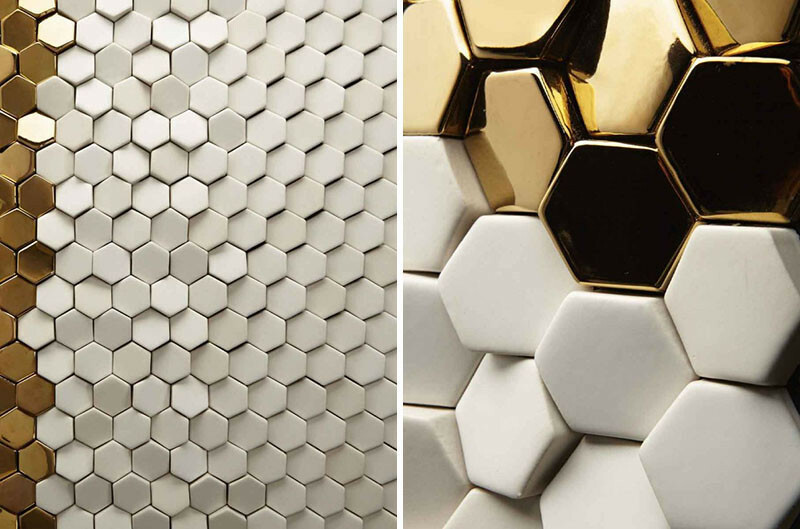 The Rombini tile collection by Ronan & Erwan Bouroullec. 22. 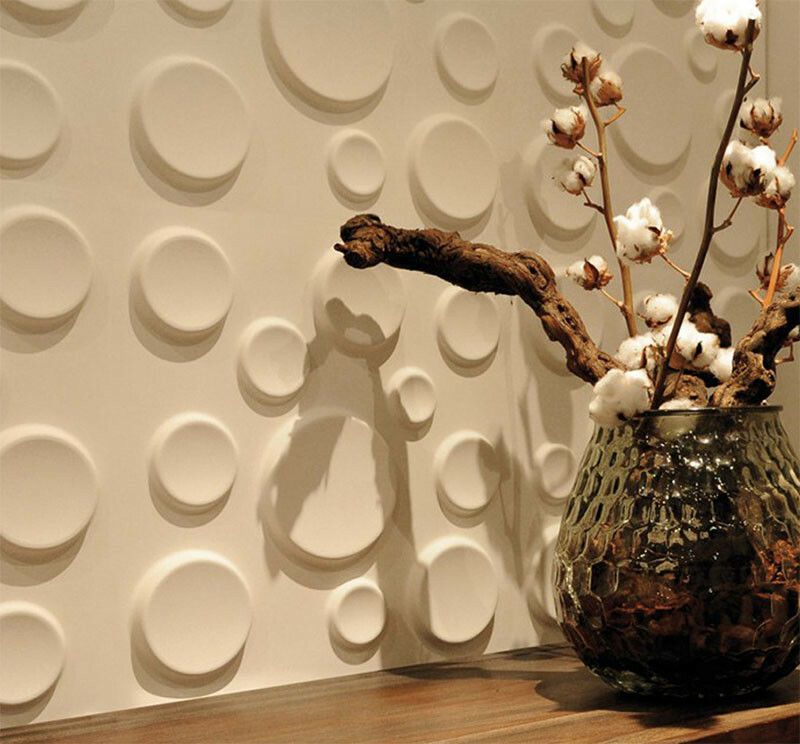 The Crush Wall Tile by modularArts. 23. 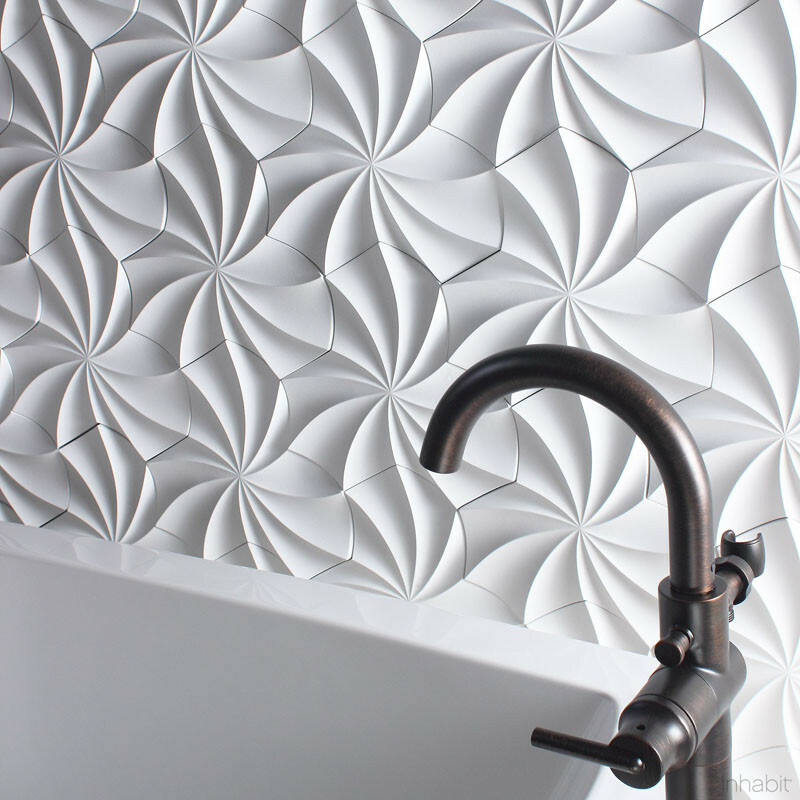 The Kaleidoscope Wall Tile by inhabit. 24. 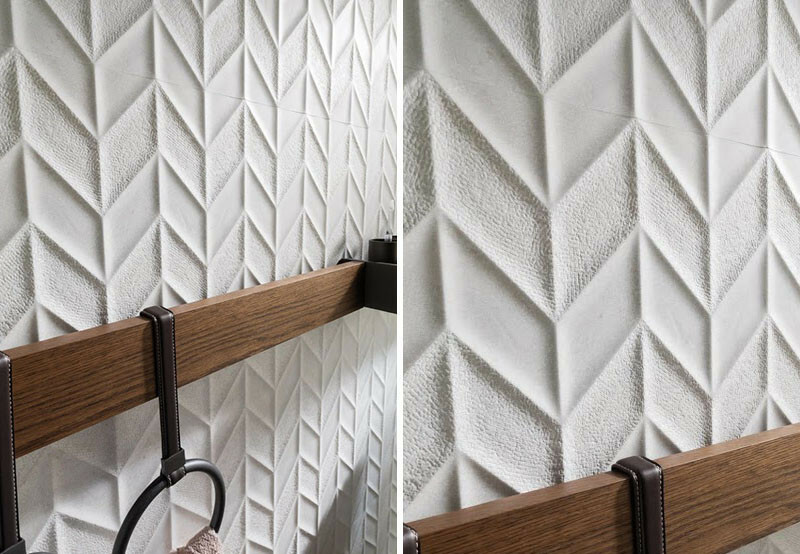 The Capitonne tile by 3D Surface. 25. 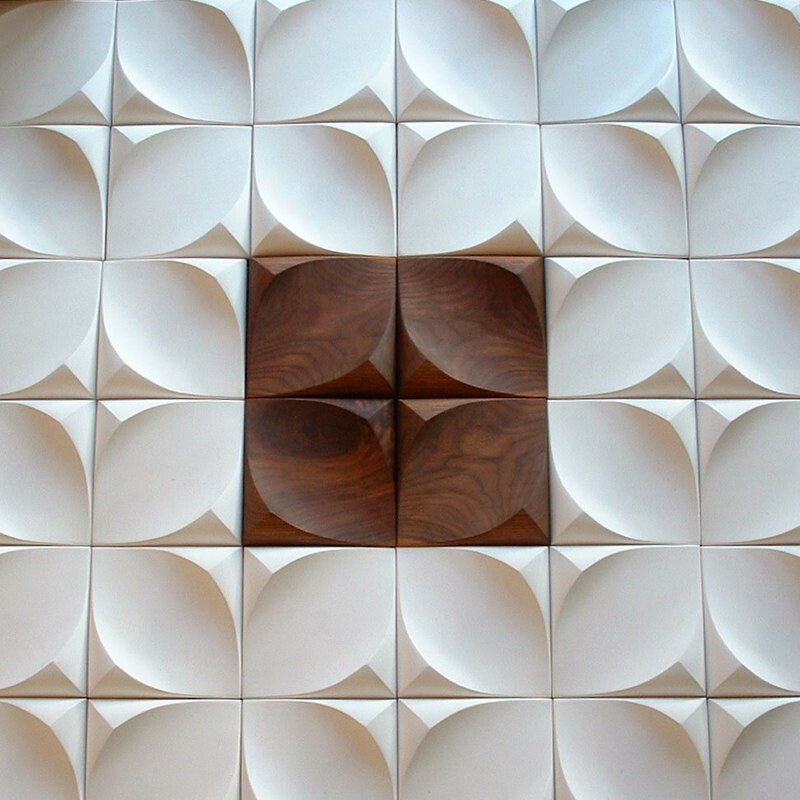 The Zelle Tile by modularArts.